Is Sacramento Hard Water a Problem? Always Affordable Plumbing in Sacramento gets a lot of questions about hard water and how it interacts with pipes, fixtures, and appliances. Is it a problem, a health risk, or nothing to worry about? First, it is important to understand what hard water is. As water moves underground, it passes over, under, around, and through many types of rocks and soil. Some of these rocks and soils have minerals in them. Over time, the water can dissolve the minerals, then carry them along as it flows. Since minerals are found below ground, they are more common in water that comes from wells. Softer water typically comes from rivers and lakes. Sacramento-area water users draw from both sources. Some minerals make little to no impact on the water that carries them. 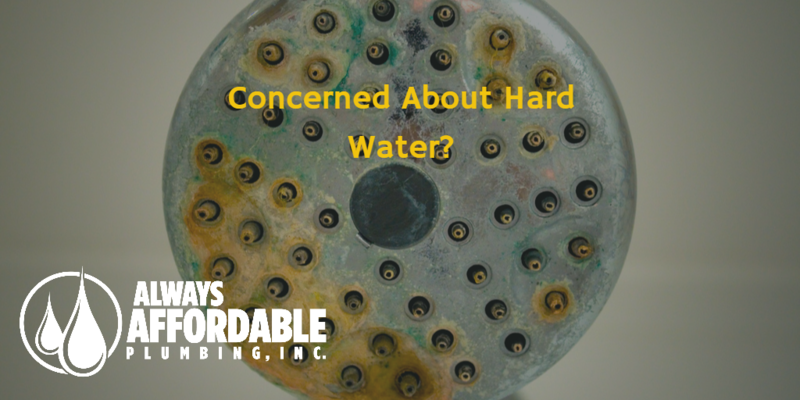 Other minerals, like calcium and magnesium, make the water “hard.” Hard water refers to the fact that it can cause hard deposits to form on pipes and fixtures. Some people would also say water high in mineral content deserves its name because it makes it hard to work up a lather with soap, shampoo, and detergent. Because of this, soap scum can build up in tubs, showers, and sinks. Aside from soap scum, there are other signs of hard water to watch for. Faucets and other fixtures may develop calcium scales. Dishes and glasses can develop spots. Scum and spots may also appear on glass shower doors, but not all hard water problems are cosmetic. Years of hard water flowing though pipes can create enough calcium buildup to restrict flow. Mineral deposits can even damage plumbing if they grow significant enough. What starts as a weaker shower experience can later become a stopped pipe, which then might require an emergency plumbing call. Vinegar, lemon juice, or certain cleaners available at just about any store can handle the spots. Special filtration systems may be necessary to “soften” the water itself by removing the minerals. Sacramento water districts report that people can generally safely drink and cook with hard water, but that doesn’t mean you have to like it. Moving into a home that may be new to you, but old in years? Call Always Affordable Plumbing. We offer a FREE inspection that can detect signs of hard water and other problems.